There's much to be said for quality wardrobe staples. And the LBD has stood the test of time. It's the most versatile and wearable garment you can have in your collection, and today I have an absolute beauty from Sixteen47. For those of you who aren't familiar with brand it was started by (one of my biggest idols) Dawn French and business partner Helen Teague. 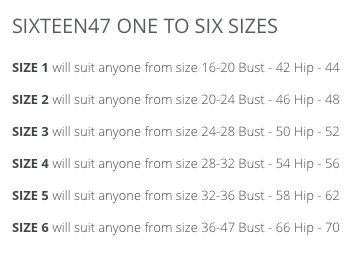 Back in the early 90s the name Sixteen47 came about from the fact that 47% of the UK female population were over a size 16, a figure which remains the same today. When the line launched (I would have been in my early teens) I remember wanting to own something from it so much! Now I'll be completely honest, I didn't know the brand was still in existence until they started following me on instagram and I was so pleased. The range is in the mid-price bracket, and consists of tunics, wardrobe staples like peg leg trousers, dresses and jackets. It's not massively trend-led but the range's strong point is quality and size range. Which is probably one of the widest I've seen. 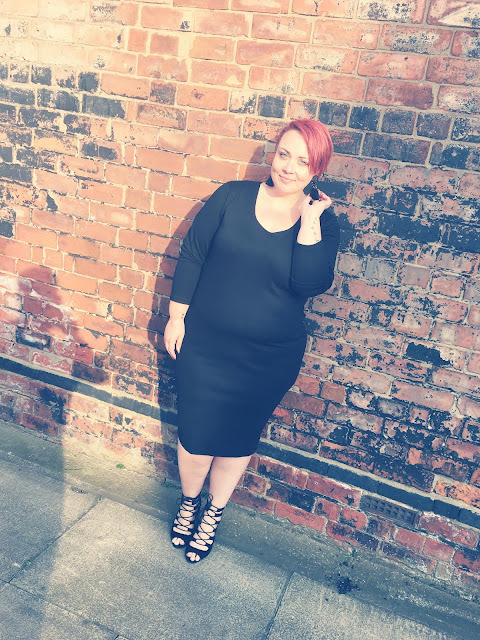 I'm wearing a size 24, the Little Black Dress is available in sizes 16-42 which is truly amazing. The dress itself is a heavy jersey, the quality is easy to feel when you put it on. It is priced at £75, which some might think is a bit pricy, but given the versatility of this piece, and the fact it is probably going to be in your wardrobe for the rest of your day's then it's really with the investment. The ways to style this dress are endless. As a blogger the pressure to style something creatively and make an impact can be quite high, but I really wanted to show this dress off in all it's stylish simplicity. The length is a perfect, just past the knee, length and the sleeves are full length but as you can see they can be pulled up. I'm completely smitten with this dress!